Part of my homeschool vision is to have my children experience a sense of wonder - and to enjoy exploring new and interesting things. So I thought it would be fun to create a Cabinet of Curiosities. 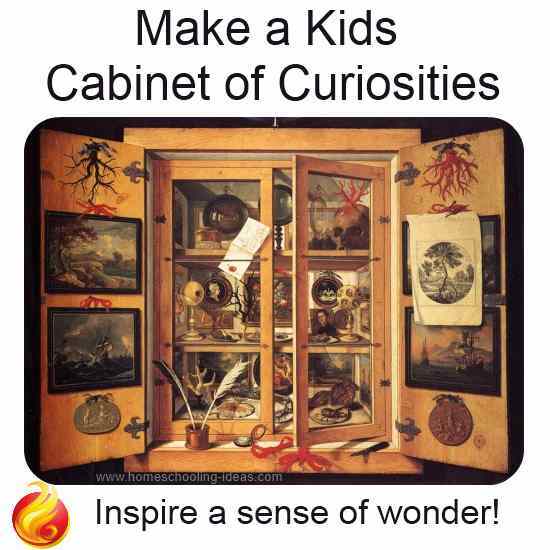 What is a Cabinet of Curiosities? Beginning in the 16th Century, a Cabinet of Wonders was a cabinet (or more often a room) containing a collection of strange and curious items. "Modern science would categorize the objects included as belonging to natural history (sometimes faked), geology, ethnography, archaeology, religious or historical relics, works of art (including cabinet paintings) and antiquities." Experience a sense of wonder about the world. Make connections across the field of human knowledge. Rearrange and classify objects in different ways. 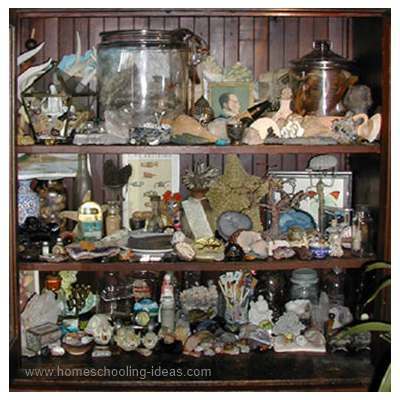 I think it will be wonderful for the children to collect strange, and varied wonders for their cabinet. Things that would make you want to examine them further. Things to think about and investigate and have conversations about. 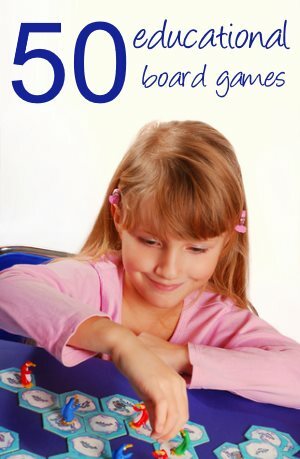 You could to use it to introduce them to lots of new art and mathematical ideas. But most importantly, use it as a way to encourage their curiosity. And if that doesn't convince you, take a look at the educational benefits of the cabinets on this page. You will need a place to create your cabinet. We shall begin with our current Nature Table and expand the collection we already have. It doesn't have to be a cabinet! It could be a drawer or a cardboard box. Just use whatever space you can. Think about what you already have that will be suitable. We all have souvenirs from strange countries, funny little ornaments that we have been gifted, or mathematical puzzles we bought years ago! Now is your chance to get them out of storage, and allow them to display their uniqueness as curiosities. Kaleidescopes, old postcards, old toys, books of stamps and gyroscopes would all make good candidates. Or how about some unusually shaped buttons or badges? Keep your eyes open for new things to add. Children are really good at spotting small unusual things when you are out and about. Allow them to decide what is 'curious'. It doesn't always have to be something expensive - a drinks can squashed flat by a truck can be interesting! Make some curiosities for your cabinet. There are lots of fun craft ideas that you could try to add something unusual or interesting to your cabinet. 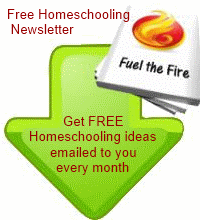 This is a project that could work well with your high-school homeschoolers. This doesn't have to be a 'physical' collection. You could collect images for a scrapbook. Or why not make virtual collections using a blog, Pinterest, or Tumblr. They could chose a theme and collect virtual artifacts around that - weird fashion items? Microscopic photography? A virtual periodic table collection? Or just a collection of all things wonderful. 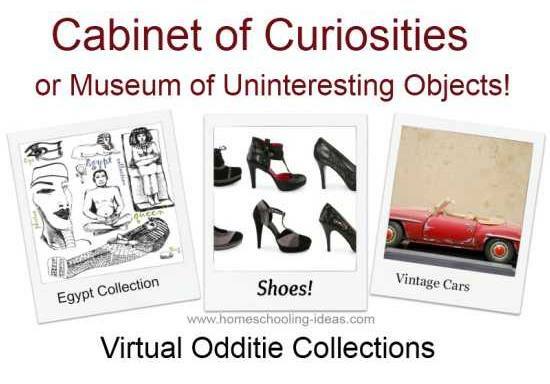 A twist on the Cabinet of Curiosities that works well with Teens, is a Museum of Uninteresting Objects! This idea comes from a book called 'The Idiot Teacher' by Gerald Holmes. In one section of the book a museum is organized, where each exhibit must be approved by a committee of children. When he later announces that the exhibits MUST be uninteresting or they would not be accepted, it causes a storm! As for those who had exhibits to offer, consternation overtook many. The party who had a dead cat moored in the canal, ready for the opening day, saw at once that it was alive with interest. It could not be offered. Some wits in the next class offered the broken-off neck of a bottle. The chemistry of glass proved to be entrancing: the manufacture of glass bottles enthralling: their history from Greek and Roman times through the Middle Ages till today made a grand research for one committee: there had been glass bottles in Ancient Egypt five thousand years ago. Committee boys vied with each other in disclosing interest in broken tiles, old slates, stones, bits of firewood, rusted tins. . . . It seemed there was interest in everything. Could you offer exhibit ideas to you teens and get them to compete with you on why they SHOULD NOT be accepted into the museum? Or just make a collection of the most boring items you can find (this one is fun). I am sure your teen will find their own twist on this!